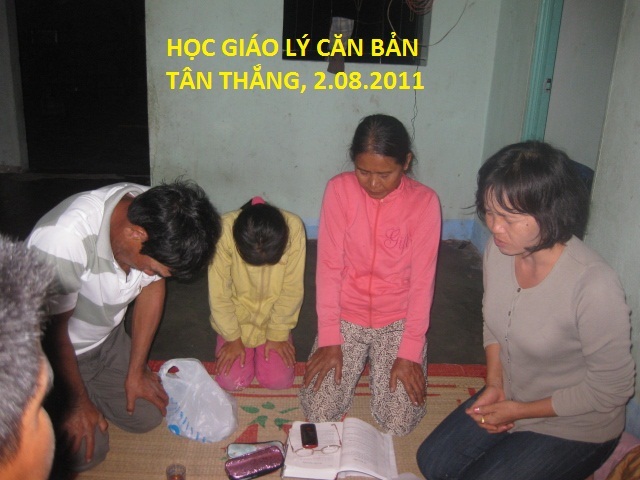 For years God has put a burden in our hearts (yours and ours) to pray that His Word will go out from the church in Binh Chau to the surrounding towns and villages. Hallelujah! He has answered our prayers. It is so exciting to see God now at work in the town of Suoi Bang. The picture below shows Elder Nhan conducting a Bible study in Suoi Bang (every Tuesday). 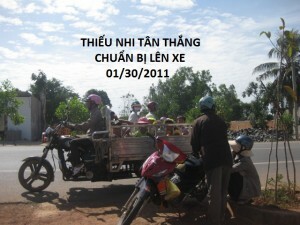 People from Suoi Bang are also traveling to Binh Chau to attend Sunday Worship and Bible study. They are eager to learn God’s Word. They have developed their own program to help them learn the books of the Bible and where they are located. They are memorizing one scripture verse each week. They put these scriptures in their pocket and recite them over and over during the week. They take their Bible to work with them in the fields and read it during their breaks and lunchtime. 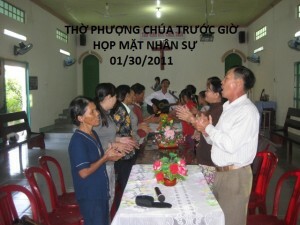 Mai first met Mr. Sau Cong in 2007 as he attended the Christmas Outreach Service in Binh Chau. Mr. Sau Cong moved from the southern part of Vietnam 10-15 years ago to a dense jungle area near Binh Chau. There he cleared the land and started farming. On visits back to his home town, he spread the word of this fertile area. Many of his relatives and friends joined him there. Over time the town of Suoi Bang was established. A few years ago, Mr. Sau Cong accepted Jesus as his Lord and Savior. He then received some training and started a house church there. However, there was persecution from Caesar and the people left the church. Last October, God put Mr. Sau Cong in Mai’s heart and she asked Elder Nhan and Kim to go to Suoi Bang and try to locate him. He still lived there and had started working for Caesar. 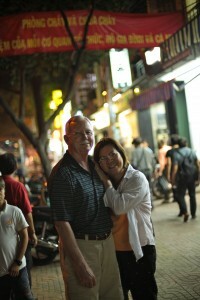 Over the last few months we can see that Mr. Sau Cong and his wife have a true love for the Lord. They are very well known, respected, and honored in this town. 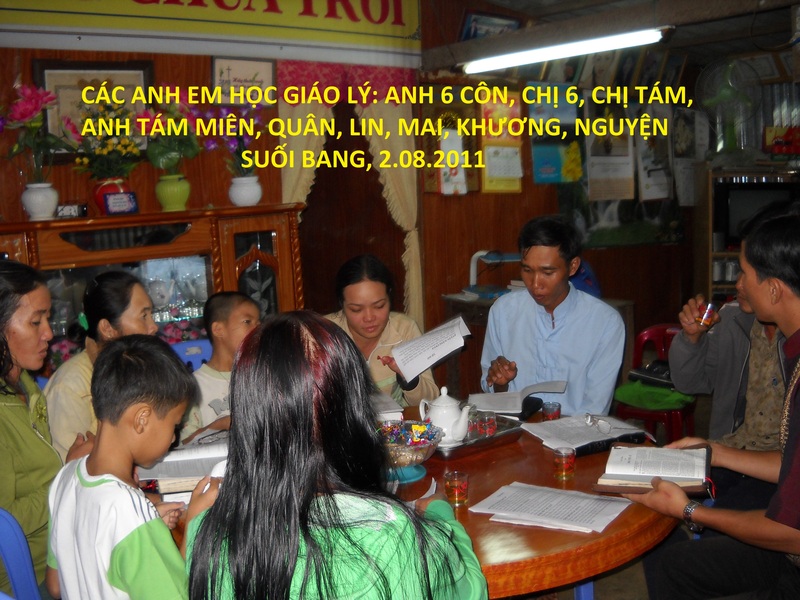 God used Mr. Sau Cong to bring 58 people to the Lord when the church was active in Suoi Bang. When the enemy attacked the church, lack of prayer and support caused the people to falter. Please stand with us in prayer/support that God will use the Binh Chau church to re-establish His church in Suoi Bang for His glory and He will use Mr. Sau Cong to spread His Word. center photo) last month to receive Jesus as their Lord and Savior. All activities of the church continue to grow and we are quick to give God all the glory, honor, and praise. The picture below shows the children from Tan Thang arriving at the Binh Chau church. As you can see they are all seated in an open box behind a motorcycle. They travel 30 minutes each way to/from church. This is not the safest way we would like to transport these precious children, but the only way we can at this time. Please pray that God’s protection would be on them and the driver each and every trip. Please join us in prayer that God will provide the funds to purchase a van to provide a safer means of travel for these little ones. and hamlets with the Gospel. where Bible studies have started. God will lead her to the right contractor. humbleness, and a heart to serve Him.